SQL DROP statement is used to completely delete the object from the database or you can drop database itself. You can use DROP statement to delete tables, indexes, views, procedures, users, databases etc. The DROP TABLE statement is used to delete or remove table from database. Once DROP table is executed then it will remove all data, table definitions, constraints, indexes and related triggers etc. 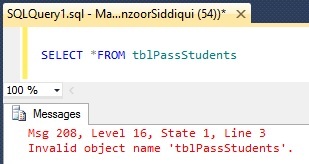 Let’s drop table tblPassStudents from database. The DROP PROCEDURE is used to remove one or more stored procedures from database. Or you can also drop multiple procedures. You can use DROP PROC also instead of writing whole word. 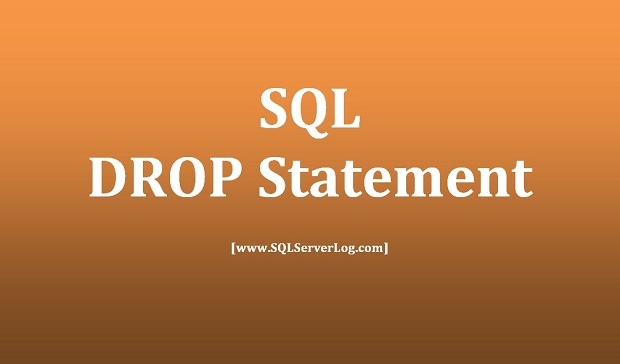 The DROP DATABASE statement is used to remove a database from SQL Server instance.